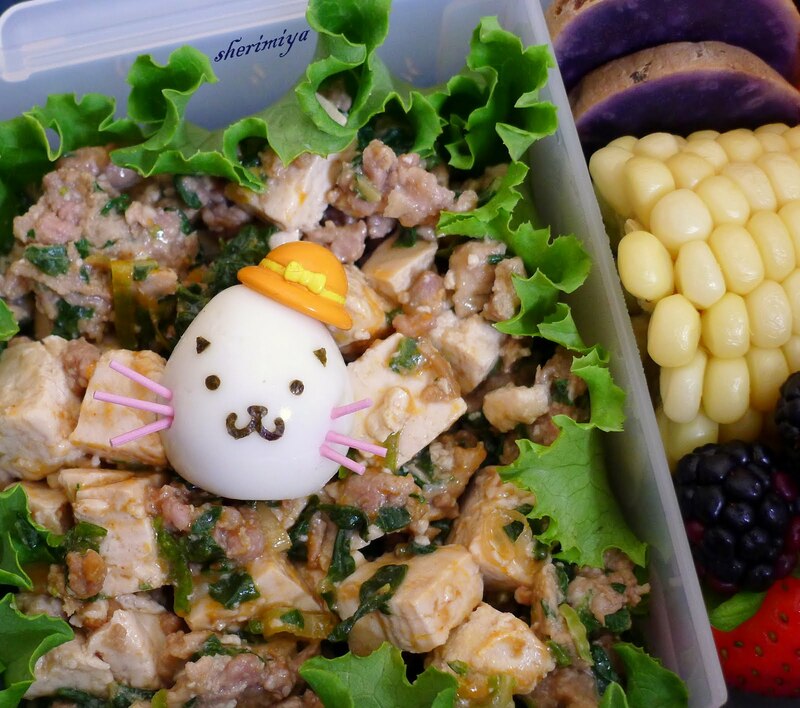 Mapo Tofu Kitty Bento, a photo by sherimiya ♥ on Flickr. Both kids get mapo tofu bentos today. I halved the batch so that the kids' version would be bland -- er, mild -- and the adults' version would be red hot and spicy! I didn't add any chili bean sauce to theirs, and I placed it in a lettuce cup for neatness and appearance. MisterMan ate the lettuce and all, as I expected, as well as the kitty quail egg, steamed corn, Okinawan sweet potato, carrots, strawberries and blackberries. TinySprite finished all her bento today; yay! She only left the lettuce but ate all the mapo tofu, peaches, Okinawan sweet potato stars, broccoli, carrot and strawberries. 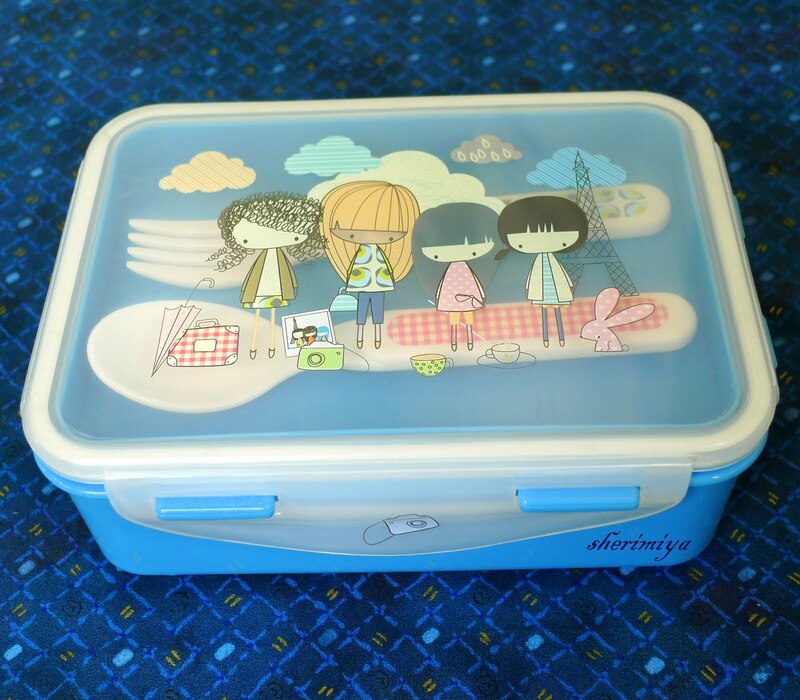 I packed her bento in the Paperchase Daytrippers box, which comes with matching utensils in the upper tier and snaps tightly closed with the cute girls design on the lid. It's the first time I've given her such a "big" box, and was concerned that she wouldn't get around to finishing it again, but the novelty and cuteness won her over, I guess. Super happy about that! Gosh, your mapo tofu is so neat and tidy! 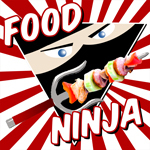 I like the graphic on the paper chase bento box. Yum yum yum! Loving the colors and cuteness and I'm sure I'd adore mapo tofu. I must try that soon! Wow... do you use tweezers to put nori on the quail egg? Amazing skill! 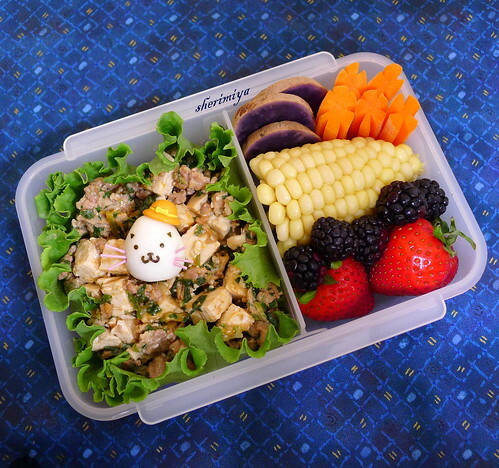 So detail work, but very cute bento! So I'm curious. Do the kids eat these at room temp or do they get heated up? If so, how do you prevent the fruit from being heated? - Thanks! Debra, I made it un-soupy on purpose for bento practicality! It's a cute box, isn't it? Thanks! 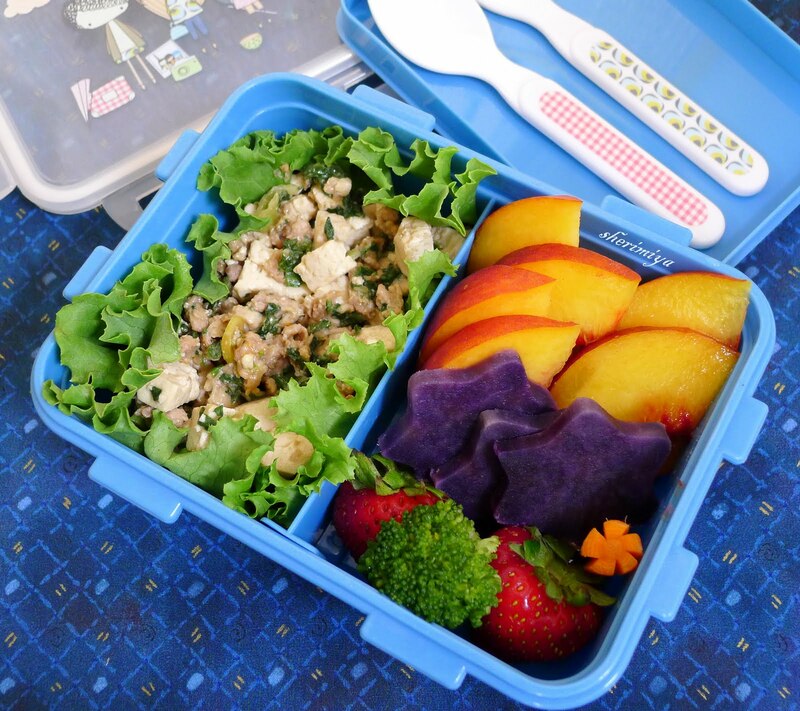 Teena, my kids eat their bento at room temp; no heating up required. If you do heat up, you'll have to take the fruit out first. It's not as convenient, as you suggest. ღ♡Ꮣуռ էяɨռɨא♡ღ you are always so sweet. I really appreciate your kind words; thank you!! Oh I Looove that box!! The only place that sold Paperchase merchandise around here was Borders bookstore. Now it has gone out of business. Boo!